Darth Vader Snow Sled | Nerd Much? Nothing beats sliding down a hill whilst sitting on Darth Vader's face. Has it snowed where you are yet? Have you already picked out the perfect sledding hill, you know the one that isn’t too close to a road? If yes, than this Darth Vader Snow Sled is for you or a little one nearby. This foam board measures at 24 inches, about two feet for the Americans in the audience. Big enough for most kids, maybe a little short for the average adult. Keep in mind that this sled is for kids no younger than 6, mainly for balancing issues and how difficult these foam boards are to steer. For those that are sledding aficionados, the manufacturer does not mention what the bottom of the board is made out of. It might be the same foam as the top, or it might be a hard plastic that would make the sledding action significantly faster. It even depends on the kind of plastic and whether it is sufficiently coated. If you really want to go fast, there’s a secret about metal and cooking spray if you’re interested in seeing your life flash before your eyes. 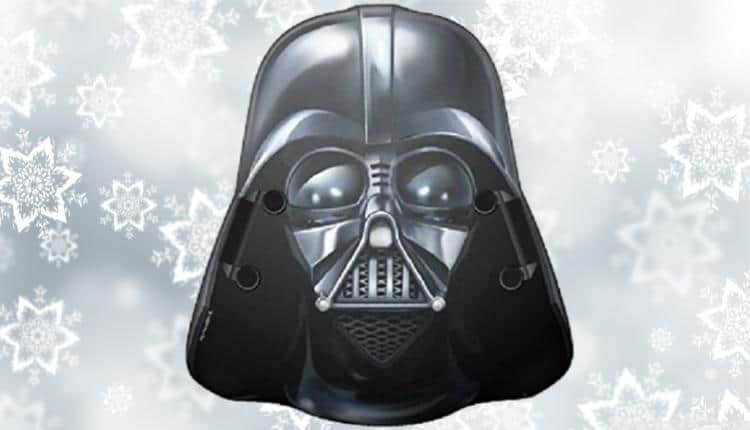 The Darth Vader Snow Sled is priced at $24.29 USD. This item also features an Amazon sealed promise that it will arrive before Christmas if you order now with a specific delivery option. Though there are all kinds of sleds out there, some cheaper and some better made, but nothing beats sliding down a hill whilst sitting on Darth Vader’s face. What could possibly go wrong? This is Star Wars we’re talking here! The most famous franchise in film ever, with Darth Vader being one of the most iconic faces around the world. A sled with his face is sure to make the owner the coolest sledder on the entire hill. Not even those visiting Canadians would be able to compete with Darth Vader’s badassery. As long as you’re not mistaking a ski hill for a sledding one, the Darth Vader Snow Sled will bring the owner joy all the way to the bottom.